Learning about a company’s products and services isn’t necessarily a quick or easy process, though, especially if you’ve got a lot of them or there’s a lot of detail. This means that developing product knowledge training can be very important – and gets more important the more information there is to be learned. It needs to be both effective and efficient. In an ideal world, new employees could sit down and read all of a company’s product and services info in one go, memorise it and be good to go. It’s not that simple though. For starters, our brains aren’t good at retaining lots of information in one go and we forget information over time too. In addition, as the details of a company’s products and services change over time, knowledge needs to be updated. This is where microlearning comes in, as a learning technique that overcomes these difficulties. 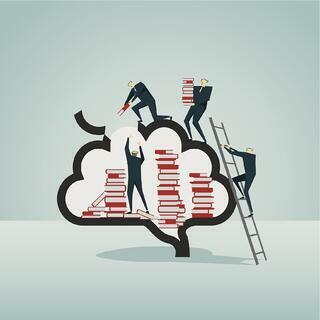 Microlearning breaks topics down into small, bite-size pieces, suiting the brain’s ability to learn short, easily consumable segments, rather than large overwhelming volumes of information in one go. The approach can be delivered in a variety of ways, such as via emails, articles and mobile apps. Indeed, just asking a colleague how to do something is effectively microlearning. The technique suits what is known as a “just-in-time” approach to learning, via which training is delivered in bite-size chunks where and when it is required – such as on a salesfloor – rather than in long, out-of-context blocks. It can also be used effectively before standalone training to develop awareness of a topic, during training to emphasise certain points for learning and after training to reinforce learning. Examples of microlearning platforms include the language learning app Duolingo, TED’s TED-Ed youth and education short video lessons and Venngage’s approach to providing infographics that contain just the most important info about a topic.